This article was originally published in the Spring 2009 issue of the Funky Raw magazine. I regularly get asked what books I would recommend about wild foods, so here are my thoughts. 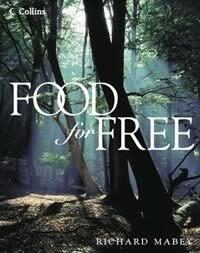 Lets start with the classic British wild food books are Food For Free and Wild Food. Food for Free, by Richard Mabey, comes in several versions; one with colour photos, one with hand drawn illustrations and a pocket version (with less plants). 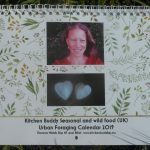 I have the edition with colour photos, some of the photos are good, but many are not clear – if you already know the plant they help to jog your memory but are not for identification. This edition also devotes a lot of space to recipes (cooked, so not of much interest). Wild Food by Roger Phillips covers sea food as well as plants and devotes even more space to cooked recipes so I’ve not purchased this book. 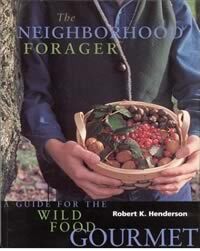 The Neighbourhood Forager by Robert K Henderson is an American book which has a lot of useful detail about a smaller number of wild foods but not great images for identification. Most of the information is also relevant for the UK. As the number of wild food books available is limited, I started looking at other books about wild plants. 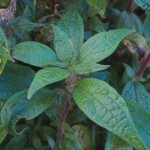 I found that the books below work well in conjunction with a specific wild food book, or the PFAF website (www.pfaf.org) where you can look up whether a particular plant is edible or not. It even gives an edibility rating – some plants are edible but are hard to digest or don’t taste good so this gives a quick evaluation. 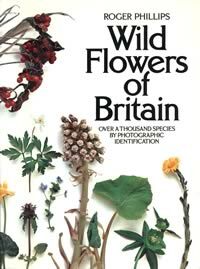 Wild Flowers of Britain by Roger Phillips is an excellent identification guide. Each plant is photographed on a plain background so you can see it clearly. 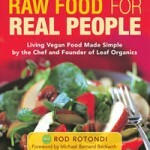 This book is not specifically about edibles, although it does mention that some plants are edible. This is probably my favourite book for identifying wild plants, and it looks like you can get second hand copies quite cheaply on Amazon now. 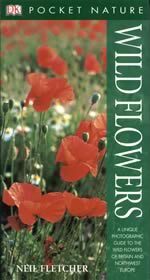 Wild Flowers by Neil Fletcher is very good for identifying plants, each plant has a photo of the plant, a photo of the plant in it’s habitat, a closeup of the leaves and a closeup of the flower plus text explaining identifying features.